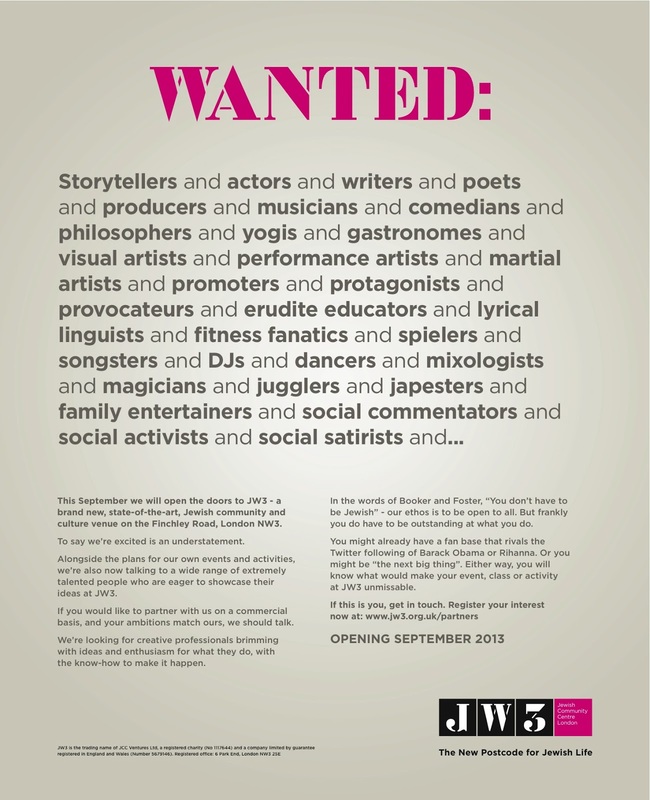 JW3 is a new state-of-the-art Jewish cultural and community centre opening in London in September (www.jw3.org.uk). 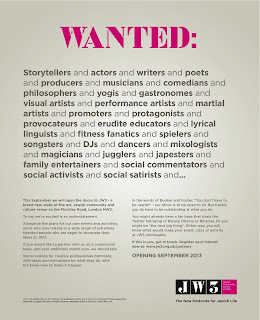 They are currently advertising for outstanding creative talent to partner with them. They are looking for creative professionals brimming with ideas and enthusiasm for what they do, with the know-how to make it happen.